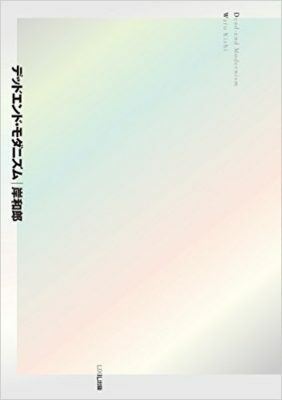 Sumaino toshokan Publishing Co., Ltd. 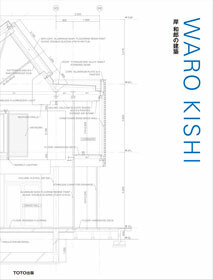 Translation: "Typology of City and Architectur"
Shinkenchiku, Vol.86, No.7, pp.170-177, July 2011. GA HOUSES, No.121, pp.74-83, May 2011. Shinkenchiku/Jutakutokushu, No.242, pp.49-59, June 2006. GA HOUSES, No.90, pp.136-147, November 2005. Shinkenchiku/Jutakutokushu, No.237, pp.59-68, January 2006. GA HOUSES, No.86, pp.19-21, March 2005. GA HOUSES, No.88, pp.150-159, July 2005. Shinkenchiku/Jutakutokushu, No.231, pp.22-31, July 2005. The Architectural Review, No.1303, pp.72−75, September 2005. 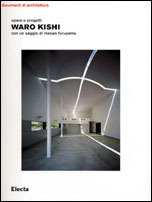 The Japan Architect, No.60, pp.104-105,January 2006. Shinkenchiku, Vol.80, No.3, pp.148-153, March 2005. GA JAPAN, No.73, pp.144-147, March 2005. Architecture & Design, No.122, pp.82-85, February 2006. Cassina Ixc. Ltd. Catalogue, pp.2-5，2004. Brain, No.12, p.92, December 2004. Casa Brutus, No.56, p.39, November 2004. Gainer, Vol.15, No.10, pp.153，October 2004. Shitsunai, No.598, pp.13, October 2004. Shinkenchiku/Jutakutokushu, No.224, pp.84-85, December 2004. Shinkenchiku, Vol.79, No.7, pp.109-115, June 2004. Plus, No.211, pp.128-130, November 2004. GA JAPAN, No.68, pp.102-107, May 2004. Shinkenchiku, Vol.79, No.5, pp.141-146, May 2004. Plus, No.211, pp.126-127, November 2004. Shinkenchiku/Jutakutokushu, No.217, pp.28-37, May 2004. Shinkenchiku, Vol.79,No.1, pp.162-165, January 2004. GA JAPAN, No.66, pp.136-141, January 2004. INTERIOR WORLD MAGAZINE, No.44, pp.118-121, July 2005. GA JAPAN, No.59, pp.156-159, November 2002. GA JAPAN, No.65, pp.60-65, November 2003. Shinkenchiku, Vol.78,No.11, pp.82-89, November 2003. Architecture & Design, No.122, pp.70-73, February 2006. GA HOUSES, No.74, pp.124-125, March 2003. GA HOUSES, No.75, pp.106-115, May 2003. 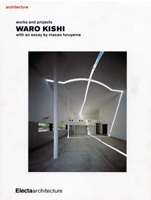 The Japan Architect, No.52, pp.89-90, January 2004. Shinkenchiku/Jutakutokushu, No.208, pp.18-27, August 2003. INTERIOR WORLD MAGAZINE, No.43, pp.62-67, May 2005. GA HOUSES, No.72, pp.76-91, October 2002. Shinkenchiku/ Jutakutokushu, No.199, pp.54-62, November 2002. GA HOUSES, No.73, pp.100-101, January 2003. 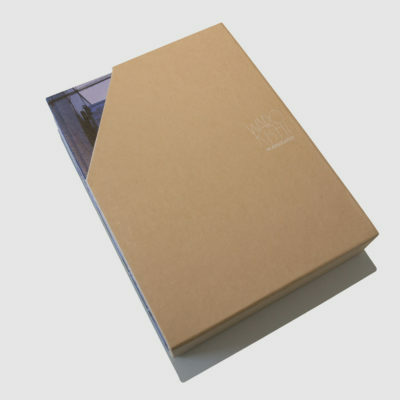 Arquitectura Viva Monographs, No.102, pp.52-55, 2003.
domus, No.862, pp.90-99, September 2003. Detail’05, Special issue, pp.66-69, October 2004. INTERIOR WORLD MAGAZINE, No.38, pp.44-51, July 2004. Case in Giappone, Mondadori Electa spa, pp.94-101, 2005. 100 Architects 10 Critics, Phaidon, pp.398-399, March 2005.
art4d, No.115, pp.90-94, May 2005. GA HOUSES, No.72, pp.60-75, October 2002. Shinkenchiku/ Jutakutokushu, No.199, pp.71-81, November 2002. GA HOUSES, No.73, p.99, January 2003. GA JAPAN, No.56, pp.132-141, May 2002. Shinkenchiku/ Jutakutokushu, No.199, pp.63-71, November 2002. GA HOUSES, No.73, p.98, January 2003. Detail’05, Special issue, pp.74-77, October 2004. INTERIOR WORLD MAGAZINE, No.38, pp.58-63, July 2004. GA JAPAN, No.54, pp.62-71, January 2002. Shinkenchiku, Vol.77, No.1, pp.164-171, January 2002. ARCHIWORLD, No.102, pp.82-89, November, 2003. Architecture & Design, No.105, pp.134-135, April 2003. Graphis, No.338, pp.78-82, April 2003. Casa Brutus, No.48, p.176, March 2004. INTERIOR WORLD MAGAZINE, No.44, pp.122-127, July 2005. Shinkenchiku/ Jutakutokushu, No.185, pp.18-33, September 2001. GA JAPAN, No.52, pp.56-63, September 2001. 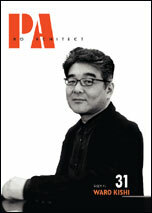 The Japan Architect,No.44,pp22-23, January 2002. Domus, No.845, pp.72-81, February 2002. Shinkenchiku/Jutakutokushu, No.194, pp.62-93, June 2002. INTERIOR WORLD MAGAZINE, No.26, pp.62-63, 2002. ARCHITECTURE NOW! , Vol.2, pp.304-307, 2002. GA HOUSES, No.73, pp.96-97, January 2003. Art Box in Japan, Vol.1, pp.98-99, January 2004. The Gold, No.233, pp.38-40, June 2002. Detail, No.159, pp.18-19, January 2004. 24 Houses, Shogakukan Inc., pp.27-36, October 2004. 100 Architects 10 Critics, Phaidon, pp.396-397, March 2005. Family Houses, Taschen GmbH, Cover, October 2005. GA HOUSES, No.59, pp.98-101, February 1999. Shinkenchiku/ Jutakutokushu, No.181, pp.76-85, May 2001. GA HOUSES, No.67, pp.17-29, April 2001. Domus, No.845, pp.82-85, February 2002. ARCHITECTURE NOW! , Vol.2, pp.296-303, 2002. GA HOUSES, No.65, pp.92-101, November 2000. Shinkenchiku/ Jutakutokushu, No.175, pp.58-75, November 2000. Shitsunai, No.552, pp.34-35, December 2000. Naujas Namas, No.21, pp.38-42, 2004. Shinkenchiku, Vol.72, No.5, pp.122-125, May 2000. Shinkenchiku, Vol.72, No.5, pp.110-121, May 2000. GA JAPAN, No.40, pp.108-111, September 1999. GA JAPAN, No.44, pp.140-149, May 2000. ARCHIWORLD, No.102, pp.66-73, November, 2003. Naujas Namas, No.21, pp.28-34, 2004.
il PROGETTO, No.3, pp.12-14, 1998. Kenchiku chishiki, Vol.40, No.1, pp.118-119, January 1998. GA JAPAN, No.31, pp.86-87, March 1998. GA HOUSES, No.58, pp.98-109, December 1998. Shinkenchiku/ Jutakutokushu, No.153, pp.26-38, January 1999. 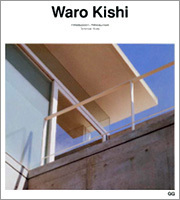 The Japan Architect, No.34, pp.110-119, July 1999. 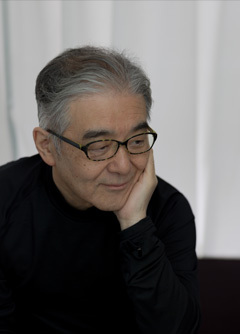 ARCHITECTURE NOW! , Vol.1, pp.320-325, 2001. ARCHIWORLD, No.102, pp.58-65, November, 2003. INTERIOR WORLD MAGAZINE, No.26, pp.64-65, 2002. In Detail Japan, pp.118-119, 2002. IDEAL ARCHITECTURE, No.45, pp.140-143, May 1996. Shinkenchiku/ Jutakutokushu, No.128, p.39, December 1996. Shinkenchiku/ Jutakutokushu, No.147, pp.56-66, July1998. GA JAPAN, No.33, pp.138-145, July 1998. Architecture & Design, No.122, pp.74-77, February 2006. Shinkenchiku/ Jutakutokushu, No.123, pp.112-113, July 1996. Shinkenchiku/ Jutakutokushu, No.123, pp.108-110, July 1996. GA JAPAN, No.25, pp.96-97, March 1997. GA HOUSES, No.53, pp.106-113, June 1997. Shinkenchiku/ Jutakutokushu, No.135, pp.23-33, July 1997. BUILDING A NEW MILLENNIUM, pp280-283,1999. 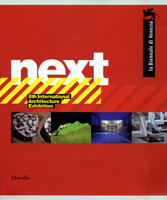 International Architecture Yearbook, No.4, pp.344-345, 1997. Moebel Interior Design, No.4668,　pp.16-20, February 1998. Architecture Design Drafting learn from Row House in Sumyoshi・House in Yakushima・House in Higashi-Osaka, pp.5, 57-76, November 2015. GA HOUSES, No.48, pp.78-79, March 1996. Shinkenchiku/ Jutakutokushu, No.123, pp.104-106, July 1996. Jutaku kenchiku, No.259, pp.148-149, October 1996. GA HOUSES, No.53, pp.114-121, June 1997. Shinkenchiku/ Jutakutokushu, No.135, pp.34-43, July 1997.
l'architecture d'aujourd'hui, No.320, pp.112-113, January 1999. Shinkenchiku, Vol.71, No.1, pp.176-187, January 1996. GA JAPAN, No.18, pp.126-131, January 1996. IDEAL ARCHITECTURE, No.45, pp.144-147, May 1996. DISENO interior, No.54, pp.95-98, September 1996. Jutaku kenchiku, No.259, pp.140-147, pp.156-157, October 1996. DETAIL, Vol.37, No.08, pp.1330-1332, December 1997. CONTEMPORARY VERNACULAR , pp128-133, 1998. DETAIL, No.140, p.126, April 1999.
bars & Restaurants, pp.116-119, 1999. The Japan Architect, No.19, pp.216-223, September 1995. GA HOUSES, No.45, pp.116-117, March 1995. Shinkenchiku/ Jutakutokushu, No.117, pp.45-54, January 1996. GA JAPAN, No.19, pp.32-39, March 1996. IDEAL ARCHITECTURE, No.9605, pp.140-143, May 1996. Jutaku kenchiku, No.259, pp.118-124, pp.150-151, October 1996. The Japan Architect, No.24, pp.164-165, December 1996. DETAIL, Vol.37, No.02, pp.169-172, March 1997. Arquine, No.1, pp.40-45, September 1997. Shinkenchiku, Vol.70, No.3, pp.224-228, March 1995.
domus, No.775, pp.44-47, October 1995. DISENO interior, No.54, p.94, pp.99-101, September 1996. Bauwelt, No.39, pp.56-57, October 1996. Arquine, No.1, pp.38-39, September 1997.
bars & Restaurants, pp.120-123, 1999. GA HOUSES, No.44, pp.110-121, December 1994. Shinkenchiku/ Jutakutokushu, No.105, pp.42-53, January 1995.
a+t, No.6, pp.28-35, October 1995. Bauwelt, No.42/43, pp.76-77, November 1995.
domus, No.772, pp.24-29, November 1995. IDEAL ARCHITECTURE, No.45, pp.148-151, May 1996. Jutaku kenchiku, No.259, pp.125-131, pp.152-153, October 1996. Innovation in Steel, p.19, 1996. Kenchiku chishiki, Vol.39, No.1, pp.56-57, pp.132-133, January 1997. Arquine, No.1, pp.34-37, September 1997. Shinkenchiku, Vol.74, No.6, pp.229, June 1999. Casa in Vetro, Federicio motta Editore, pp.362-369，2005. GA JAPAN, No.11, pp.102-103, November 1994. GA JAPAN, No.27, pp.126-133, July 1997. Shinkenchiku, Vol.72, No.7, pp.132-145, July 1997. CASABELLA, No.657, pp.16-21, June 1998. Lotus 102, pp88-91, September, 1999. ARCHIWORLD, No.102, pp.74-81, November, 2003. Jutaku kenchiku, No.221, pp.64-65, pp.80-81, August 1993. Shinkenchiku/ Jutakutokushu, No.93, pp.38-49, January 1994. Kenchiku bunka, Vol.49, No.567, pp.125-132, January 1994. GA HOUSES, No.40, pp.132-139, January 1994. GA JAPAN, No.07, pp.61-66, March 1994. CASABELLA, Vol.613, pp.9-11, June 1994. Jutaku kenchiku, No.259, pp.132-139, pp.154-155, October 1996. The Japan Architect, No.6, p.166, May 1992. Kenchiku Bunka, Vol.48, No.556, pp.36-37, February 1993. The Japan Architect, No.11, pp.184-187, October 1993. GA JAPAN, No.07, pp.46-60, March 1994. Shinkenchiku,Vol.69, No.3, pp.195-203, March 1994. Kenchiku bunka, Vol.49, No.569, pp.105-113, March 1994. CASABELLA, Vol.613, pp.12-15, June 1994. The Japan Architect, No.17, pp.64-65, March 1995.
a+t, No.6, pp.18-27, October 1995. Sakuhin senshu1996, pp.44-45, March 1996. The Japan Architect, No.6, p.167, May 1992. Shinkenchiku/ Jutakutokushu, No.123, pp.114-115, July 1996. Shitsunai, No.447, p.64, March 1992. The Japan Architect, No.6, pp.160-165, May 1992. Shinkenchiku/ Jutakutokushu, No.74, pp.25-33, June 1992. Kenchiku bunka, Vol.47, No.548, pp.153-164, June 1992. GA JAPAN, No.02, pp.172-175, January 1993. DETAIL, Vol.33, No.01, pp.29-31, February 1993. Jutaku kenchiku, No.221, pp.49-53, pp.74-79, August 1993. Quaderns, No.202, pp.70-77, September 1993. CASABELLA, Vol.613, pp.4-8, June 1994. Sakuhin senshu1994-1995, pp.40-41, March 1995. SD, No.390, pp.33-36, March 1997. Shitsunai, No.452, p.159, August 1992. 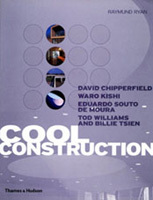 Contemporary Japanese Houses1985-2005，TOTO Shuppan Co.，pp．132-133，December 2005. 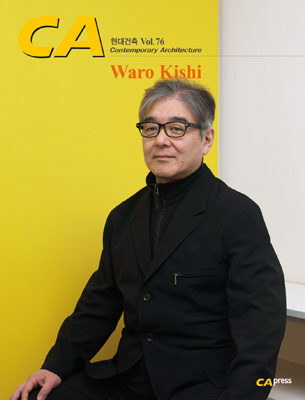 Shinkenchiku/ Jutakutokushu, No.332, pp.82-97, December 2013. Shinkenchiku/ Jutakutokushu, No.58, pp.69-73, February 1991. Kenchiku bunka, Vol.46, No.535, p.125, May 1991. SD, No.322, pp.101-105, July 1991. Shitsunai, No.447, pp.18-19, p.60, March 1992. Quaderns, No.202, pp.64-69, September 1993. SD, No.316, pp.86-87, January 1991. Shinkenchiku, Vol.66, No.12, pp.316-320, October 1991. The Japan Architect, No.10, pp.218-221, July 1993. SD, No.371, pp.56-57, August 1995. Nuevos Puentes-New Bridges, pp.126-133, 1996. Shinkenchiku, Vol.65, No.11, pp.336-343, October 1990. Nikkei Architecture, No.384, pp.180-181, October 1990. SD, No.322, pp.116-123, July 1991.
domus, No.737, pp.14-15, April 1992. The Japan Architect, No.11, pp.178-183, October 1993. Architecture & Design, No.122, pp.78-81, February 2006. KAGU" VOL.2" Designer's Week in Makuhari, Vol.2, p.39, July 1990. Shinkenchiku/ Jutakutokushu, No.47, pp.62-64, March 1990. Shitsunai, No.433, pp.8-10, pp.60-61, January 1991. Ijino toshi jutaku, part2, pp.434-443, March 1991. Kenchiku bunka, Vol.46, No.535, pp.127-129, May 1991. SD, No.322, pp.108-109, July 1991. Jutaku kenchiku, No.221, pp.54-55, pp.72-73, August 1993. Shinkenchiku, Vol.65, No.2, pp.303-307, February 1990. SD, No.322, pp.112-115, July 1991. Shoten kenchiku, extra number, No.4, p.33, December 1994.
icon, Vol.21, pp.81-84, January 1990. Shoten kenchiku, Vol.35, No.2, pp.222-224, February 1990. Shinkenchiku/ Jutakutokushu, No.32, p.60, December 1988. Shinkenchiku/ Jutakutokushu, No.37, pp.136-140, May 1989.
icon, Vol.17, pp.32-36, May 1989. Kenchiku bunka, Vol.45, No.523, p.94, May 1990. Kenchiku bunka, Vol.46, No.535, p.123, May 1991. Jutaku kenchiku, No.221, pp.60-63, pp.69-71, August 1993. Taiyo Special/ Rekishi toshi, p.107, November 1987. SD, No.279, pp.28-29, December 1987.
icon, Vol.11, pp.38-39, May 1988. SD, No.400, p.108, January 1998. Shinkenchiku/ Jutakutokushu, No.18, pp.118-121, October 1987. SD, No.277, pp.88-89, October 1987. Kenchiku chishiki, Vol.30, No360, pp.90-99, April 1988. Kenchiku bunka, Vol.43, No.499, p128, May 1988. Shinkenchiku/ Jutakutokushu, No.32, p.61, December 1988. SD, No.322, pp106-107, July 1991. Jutaku kenchiku, No.221, pp.56-59, pp.66-68, August 1993. Quaderns, No.202, pp.58-63, September 1993. Architecture and Society, Vol.75, No.1, p.51, January 1994. Shitsunai, No.390, pp.60-61, June 1987. Taiyo Special/ Rekishi toshi, p.106, November 1987. ANNUAL OF DISPLAY & COMMERCIAL SPACE DESIGNS IN JAPAN 1987, p.92, December 1986. Shoten kenchiku, Vol.30, No.8, pp.162-164, August 1985. Shoten kenchiku, Vol.30, No.8, pp.165-167, August 1985. Shoten kenchiku, Vol.30, No.7, pp.137-140, July 1985. Shoten kenchiku, Vol.30, No.5, pp.216-218, May 1985. Shinkenchiku, Vol.58, No.5, pp.195-199, April 1983. Shoten kenchiku, Vol.27, No.14, pp.172-174, December 1982. ANNUAL OF DISPLAY & COMMERCIAL SPACE DESIGNS IN JAPAN 1984, pp.162-163, December 1983. DISPLAY DESIGNS IN JAPAN 1980-1990, Vol.2, p.153, May 1992. Thoughts on Modern Houses in U.S.
INAX REPORT, No.149, pp4-7,December 2001. Shinkenchiku, Vol.75, No.13, pp.168-169, November 2000. Shinkenchiku, Vol.75, No.5, pp.126-127, May 2000. Shinkenchiku, Vol.74, No.5, pp.66-71, May 1999. Kenchiku magazine, Vol.113, No.1431, pp.30-31, December 1998. Steel House, No.48, pp.4-7, December 1998. Giuseppe Terragni, No.15, pp.154-163, May 1998. 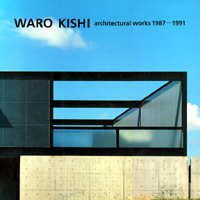 The Japan Architect, No.29, pp.8-10, April 1998. Shinkenchiku/ Jutakutokushu, No.135, pp.20-22, July 1997. Kenchiku Bunka, Vol.51, No.600, p.1, October 1996. Jutaku Kenchiku, No.259, pp.164-165, October 1996. The Japan Architect, No.23, pp.4-6, September 1996. Shinkenchiku/ Jutakutokushu, No.123, p.103.107.111, pp.116-117, July 1996. SD, No.382, pp.61-66, July 1996. Shinkenchiku/ Jutakutokushu, No.111, pp.27-33, July 1995. Shinkenchiku/ Jutakutokushu, No.105, pp.52-53, January 1995. The Japan Architect, No.14, pp138-139, June 1994.
a+t, No.6, pp.36-38, October 1995. GA JAPAN, No.07, pp.67-68, March 1994. Quaderns, No.202, pp.56-57, September 1993. Jutaku Kenchiku, No.221, pp.40-46, August 1993. Shinkenchiku, Vol.67, No.12, pp.155-158, December 1992. Shinkenchiku/ Jutakutokushu, No.75, pp.76-77, July 1992. Shinkenchiku/ Jutakutokushu, No.74, p.34, June 1992. The Japan Architect, No.6, pp.156-159, May 1992. SD, No.331, pp.20-25, April 1992. Shinkenchiku/ Jutakutokushu, No.58, pp.74-75, February 1991. Sofia came to our school! ©2019 WARO KISHI + K.ASSOCIATES/Architects Co., Ltd.